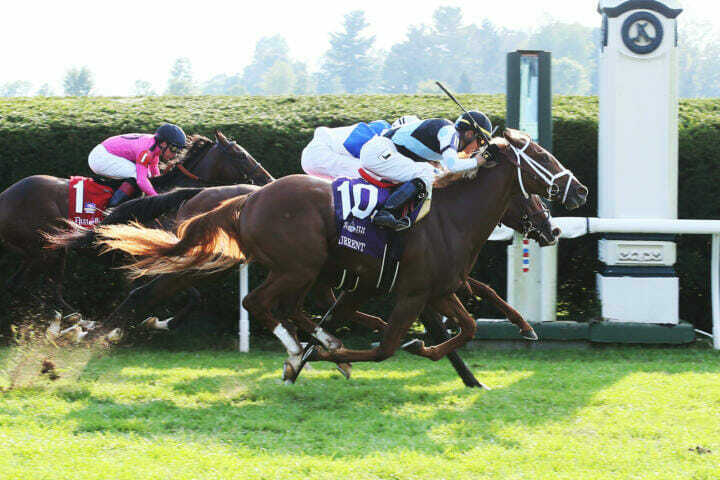 LEXINGTON, Ky. – It took 1:45.10 from the time the starting gates sprang open for the Grade 3, $250,000 Bourbon Stakes to when Current and Henley’s Joy hit the wire. But Current’s connections had to wait just a few minutes longer to find out if they were, indeed, heading to the Breeders’ Cup. “It was so close, I didn’t know if I had it,” jockey Jose Ortiz said. 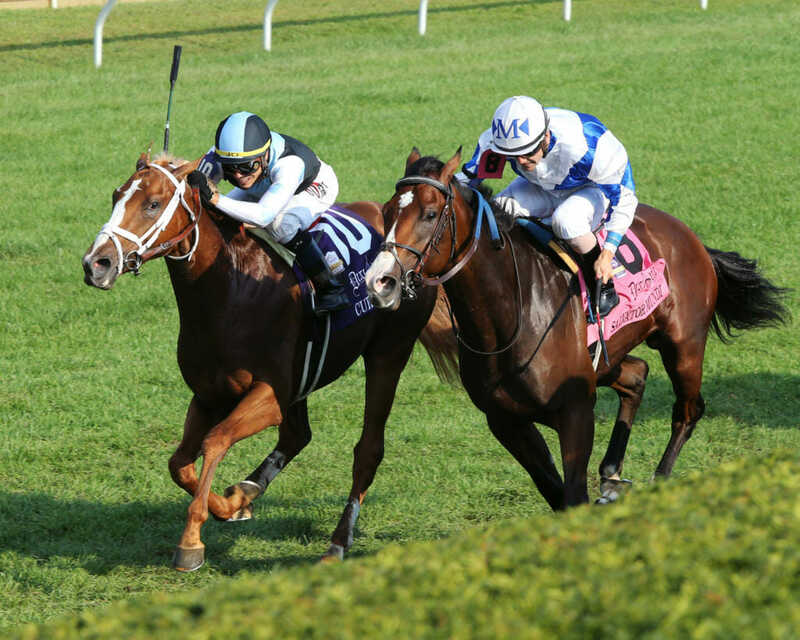 After the photo was scrutinized for several long minutes, the furiously closing Current and Ortiz had, indeed, gotten up by a nose over Henley’s Joy, snatching the Bourbon’s automatic berth into the Breeders’ Cup Juvenile Turf on Nov. 2 at Churchill Downs. “I hit him left-handed, and he drifted out two or three paths,” Ortiz said.